KEN YUSZKUS/Staff photo. 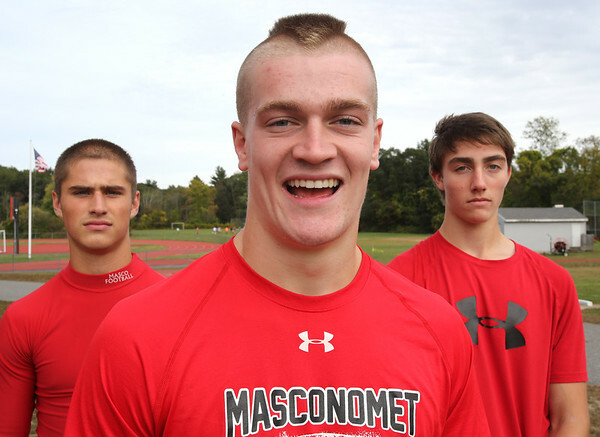 Masconomet senior RB Scott Foden, center, one of the North Shore's top rushers had a 300-yard rushing game last Friday against Newburyport. Fellow teammates Cam Vaillancourt, left, and Declan Judge, right, stand with him. 10/01/15.